These questions and others are addressed in Jonathan Edward’s masterpiece, The Religious Affections. To Edwards, these were the most important questions man has to answer. 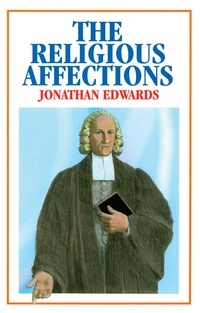 Edwards was the most prominent preacher of America’s first Great Awakening. He witnessed true revival at his church in Northampton, Massachusetts. However, Edwards cautioned against the opposing dangers of rampant emotionalism and elitist intellectualism. He was concerned to define the nature of true religion and to distinguish between true and false revival. The result was this classic work, which will long remain one of the most penetrating and soul-searching volumes in the history of the Christian church.